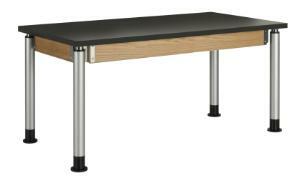 Adjusting only one end creates an incline table for physics. For use in elementary grades, adjust to 27”. For display work, raise to 39”. The table adjusts in 2 cm increments from 27" to 39" and has a 500 lb. weight capacity. 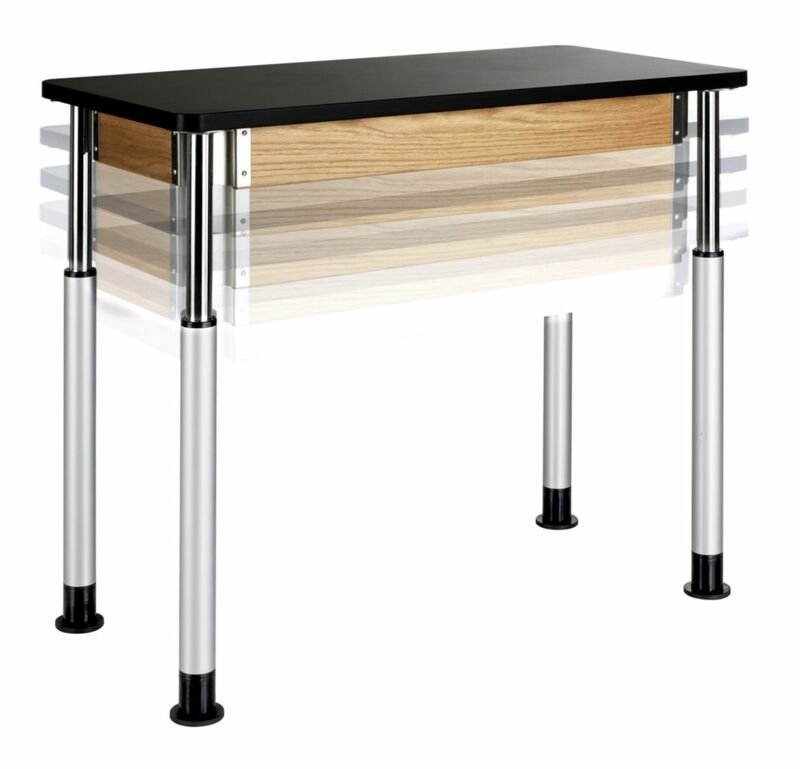 The 4½" solid oak frame with exposed metal corner braces complement the powder coated legs with adjustable glides. 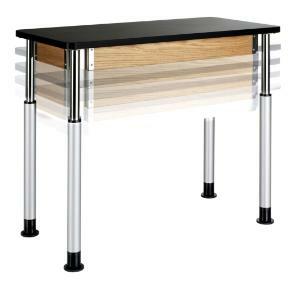 Accessories information: Casters purchased separately.